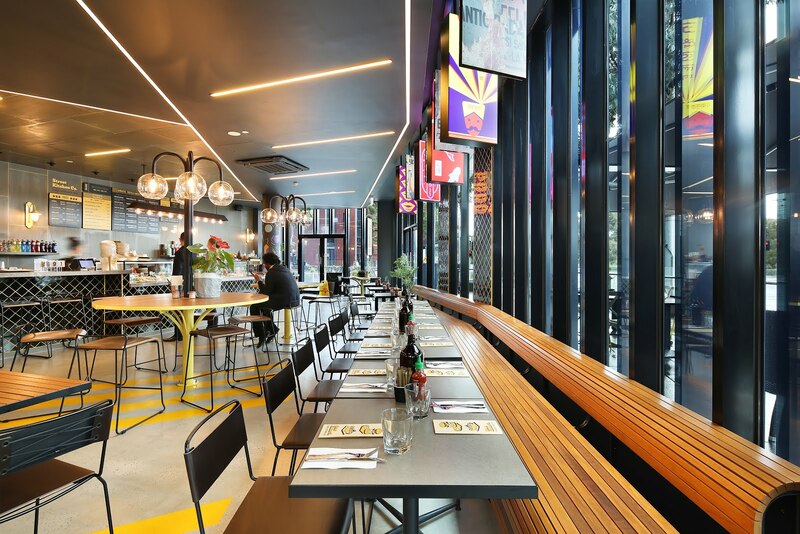 La Maison Jolie: Experience the Exotic, the Unexpected and the Iconic at Street Kitchen! Experience the Exotic, the Unexpected and the Iconic at Street Kitchen! 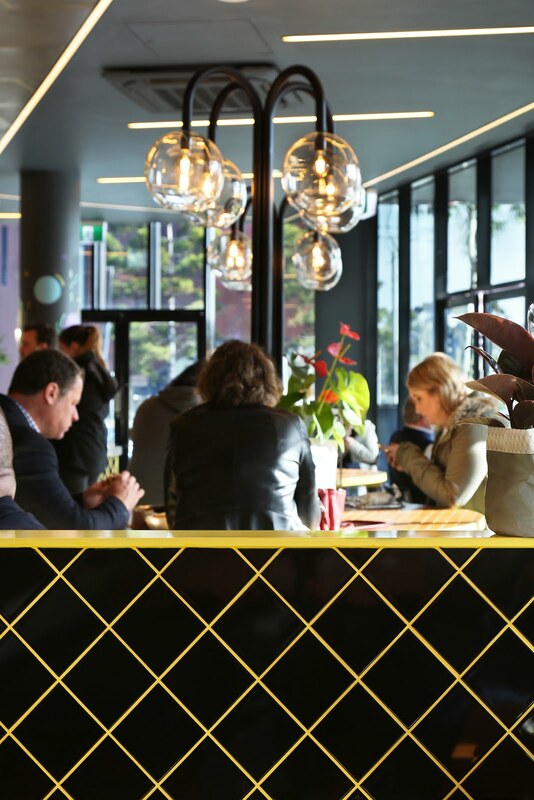 Located in bustling Burnley, a suburb close to the Melbourne CBD, Street Kitchen, a new flavour destination, showcases food from the world’s street markets amidst a colourful and spirited design. 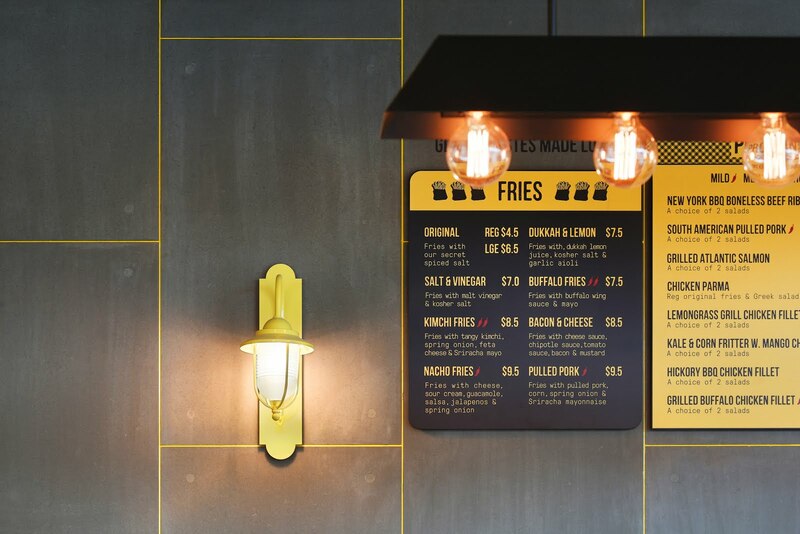 Bold yellows and blacks sit alongside graphic light boxes, bus shelter-inspired booths and hand-painted columns. 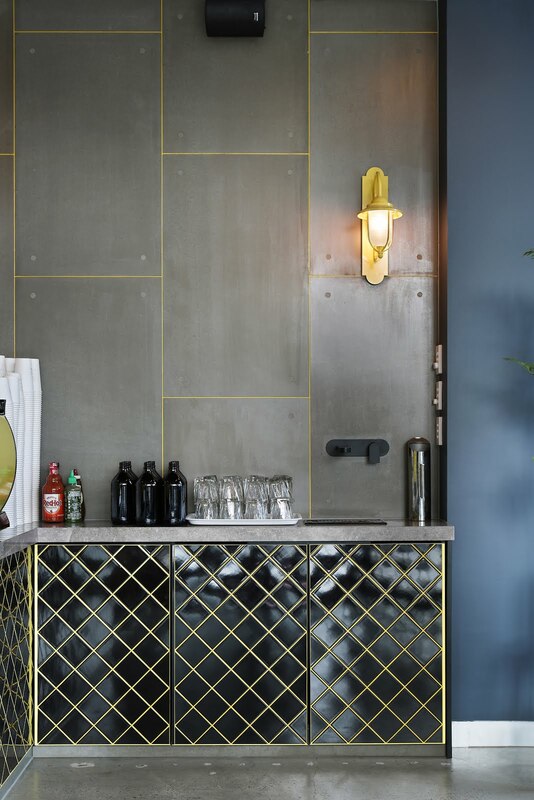 Behind the effervescent restaurant design, is bespoke interior design house- Studio Y.
I had a chat with the talented design team to find out more about this exciting new eatery, the design journey, challenges and wins. 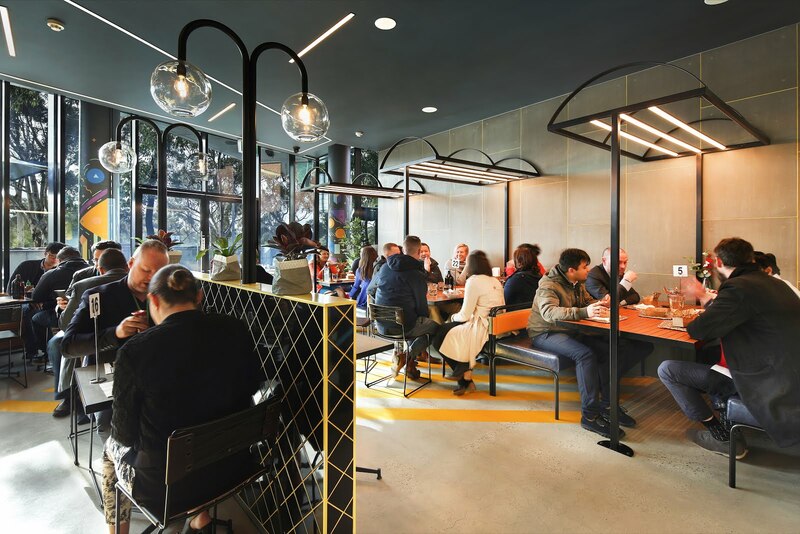 To create a hotspot to suit both day and night time that would appeal to corporate clientele as well as tradies and locals. What was the overall vision for the restaurant? Create an interpretation of the city landscape through gutsy colour and graphics while showcasing food from the world’s street markets. What was your main inspiration for the design? Inspired by the maps and energy of some of the world’s largest cities, Street Kitchen is an interpretation of the city from morning till evening. Can you take us through the creative process? Street Kitchen was really fun during the creative phase. 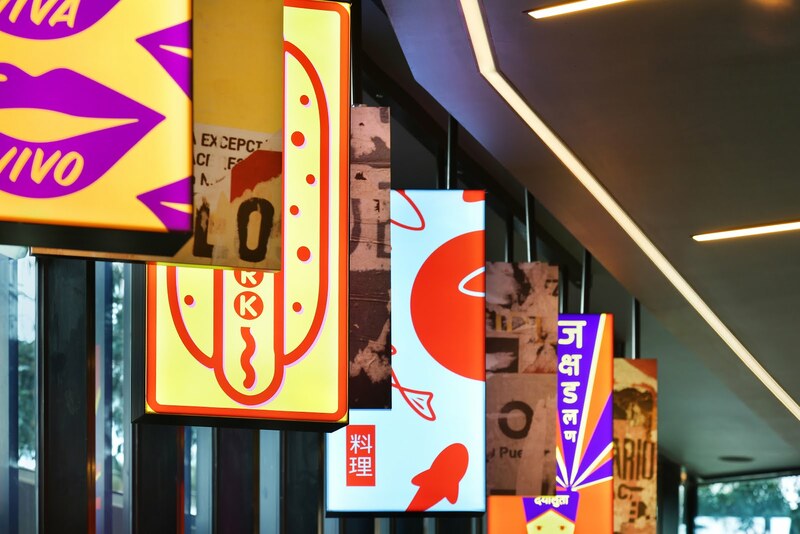 The client already had a brand identity in place which was that their menu displayed street food from different countreis around the world – America, Vietnam, Mexico etc. 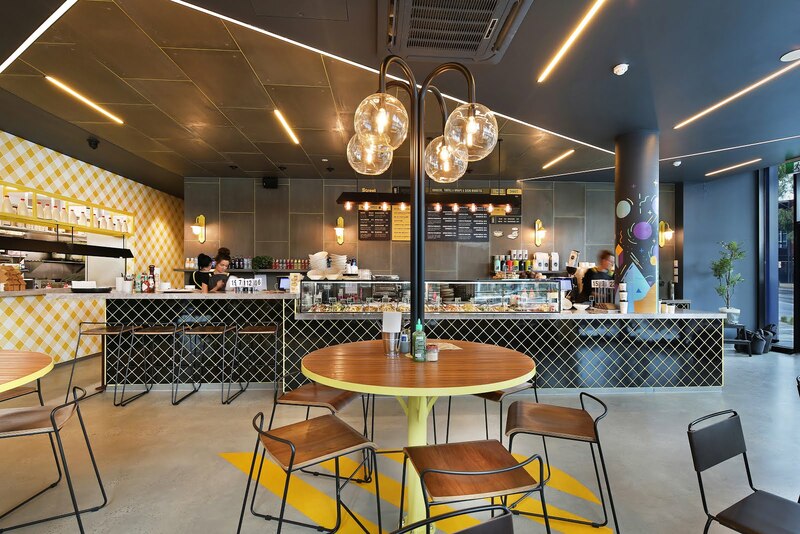 We therefore wanted to design an interior which wasn’t specific to any culture but represented the bustling excitement of cities and streets around the world. This is where the dark palette came from with intersecting lines. We took the sort of image of a bird’s eye view of city streets at night and reinterpreted them for the ceiling, tiling pattern etc. then overlayed that with light box images and street art which represent the open canvas of cities which is home to advertising, street art, paste up posters etc. What design related challenges did you face? We had a very interesting and challenging floor plan. It starts off long and skinny and then spreads out and then right in the middle you have a large column disrupting the flow. We tackled this by placing the morning trade coffee counter in the front and wrapping it around the corner. This makes the lunch time and night trade counter follow the length of the shop. The result is a sort of ‘chameleon’ work space which caters to their changing trade throughout the day. If you had to describe the aesthetics and design of Street Kitchen in 3 words, what would they be? The hand-painted columns created by a local artist. What is your favourite inspirational design quote? “I call architecture frozen music” - Johann Wolfgang von Goethe. 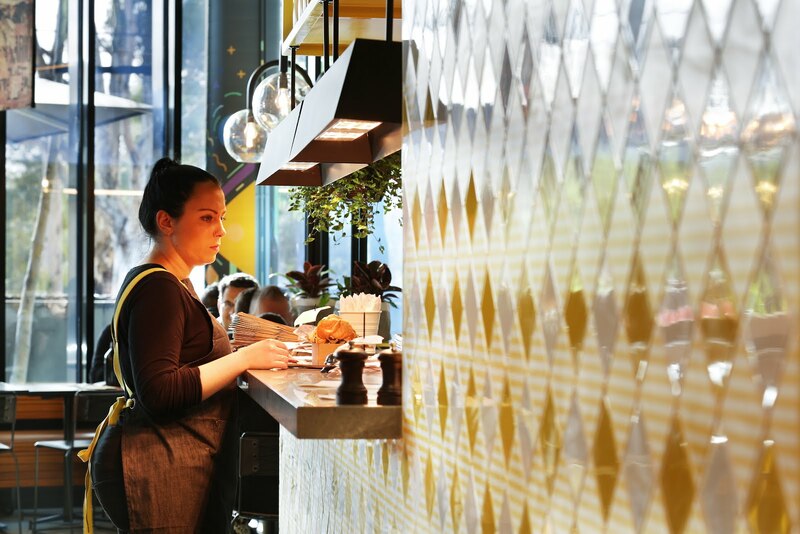 Bold design choices, energetic colours and international favours, Street Kitchen is the new hotspot in Melbourne offering authentic mouth-watering morsels from all over the world. 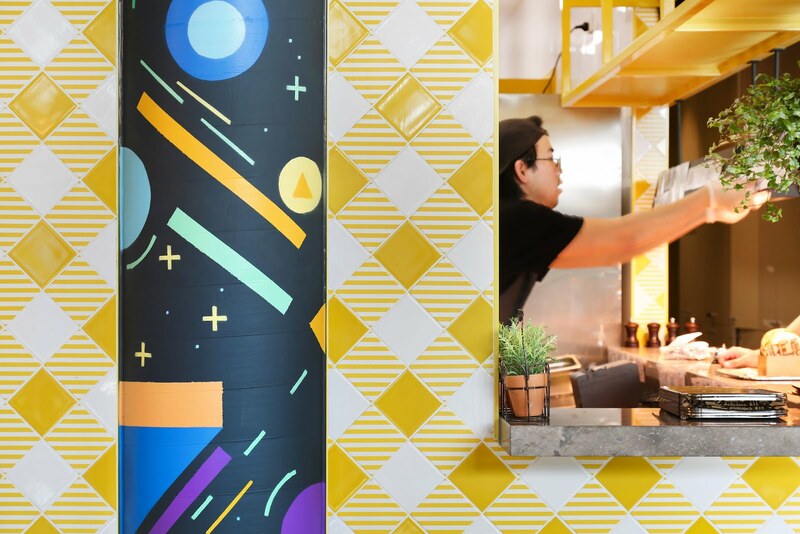 I'm dying to go and check out this bespoke restaurant and experience the range of delectable street food that Street Kitchen has to offer. Till next time... if you're in Burnley, stop for an international flavour journey at Street Kitchen!